Need help getting a healthy dinner on the table? Try my quick, no-fuss method to make a healthy Mexican food favorite… Healthy Slow Cooker Chicken Fajitas! 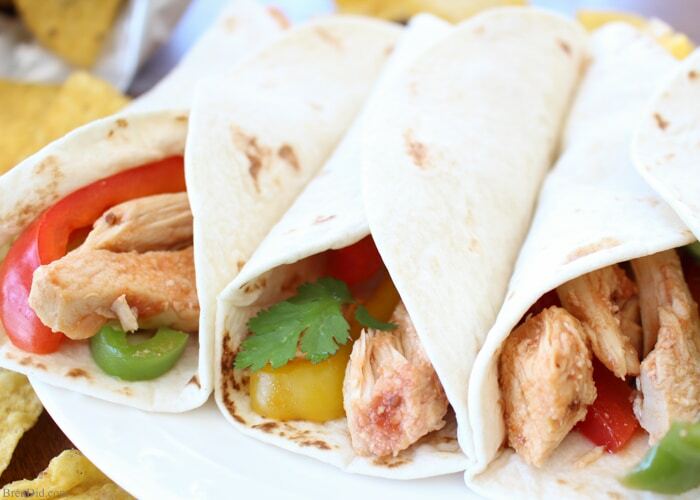 These are the simplest fajitas you will ever make and they taste A-MAZ-ING! Before we get down to fajitas, let me take a minute to describe a typical weeknight evening at the Bren Did homestead. Spiraling around the kitchen island are two children who should be on their way to swim practice but can’t seem to find their goggles under the pile of junk mail and school papers that annoyingly collects on the counter threatening to be knocked over by my 75 pound German Shepherd who lurks underfoot wanting to be loved by my starving 6’4” husband who walks in the garage door needing to be fed before he get h-angry. The goggles are in the swim bin, as always! You need to put your homework in your backpack! Has anyone fed the dog? Will you take a look at YOUR children? 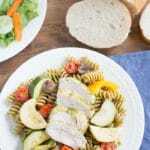 It's the PERFECT time to plan and cook a healthy delicious meal for the family! Do you sense my sarcasm? The calm in this storm is my slow cooker: the beloved crock pot that has dinner ready for the family and can get us to practice on time, well fed, and happy. I seriously LOVE the days that I have prepared dinner ahead of time and it is sitting on the counter, bubbling away in that magic pot, just waiting to be consumed. 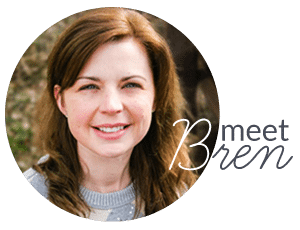 Since my morning routine looks a lot like the scene I described above (with slightly more coffee and a less awake mom), I refuse to make fussy crock pot meals. No searing. No browning. No precooking. 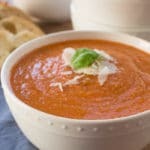 I need a recipe that gets everything into the crock pot in five minutes and still has delicious results. I affectionately call these throw and go slow cooker recipes. Tres Chic, no? 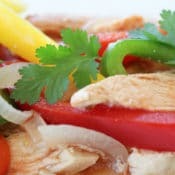 This Healthy Slow Cooker recipe has great Chicken Fajita taste: tangy onions, sweet tender-crisp red, yellow and green peppers, and perfectly seasoned chicken breast. PLUS it’s made in one crock pot with no thawing or precooking. Score one for the home team! Salsa – Use your preference of mild, medium or spicy… your fajitas, your level of spice. Ketchup – Don't be scared, your fajitas will not taste like a hot dog cookout. The ketchup adds a bit of sweet flavor to compliment the spicy salsa. 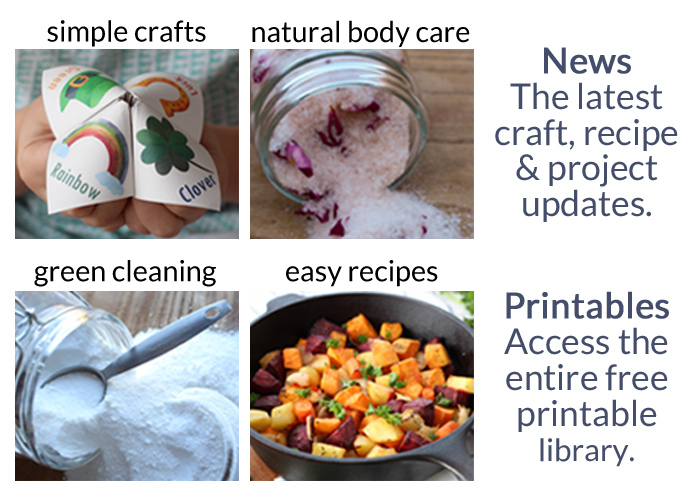 You can use store-bought, organic, or even your own homemade version. This extra pepper cooking time also gives you just enough of a buffer to set the table, warm the tortillas, and make a fresh bowl of guacamole before serving a fabulous dinner. 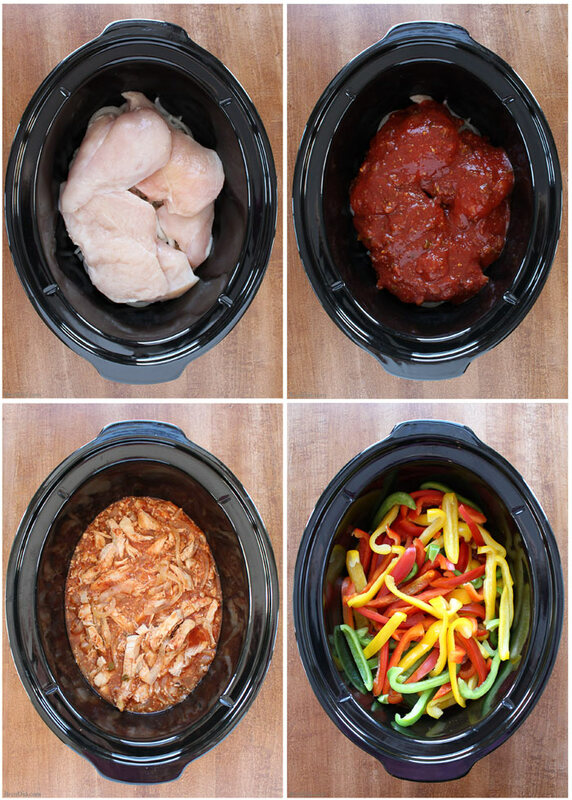 I hope you try my Healthy Slow Cooker Chicken Fajitas. 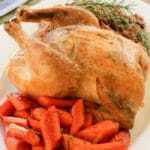 It is a simple crock pot recipe your whole family will love. I serve mine with flour tortillas, cilantro, shredded cheese and lettuce. They are also delicious with sour cream, jalapenos, salsa and any other Mexican-food condiments you desire. A quick, no-fuss way to make this healthy Mexican food favorite. 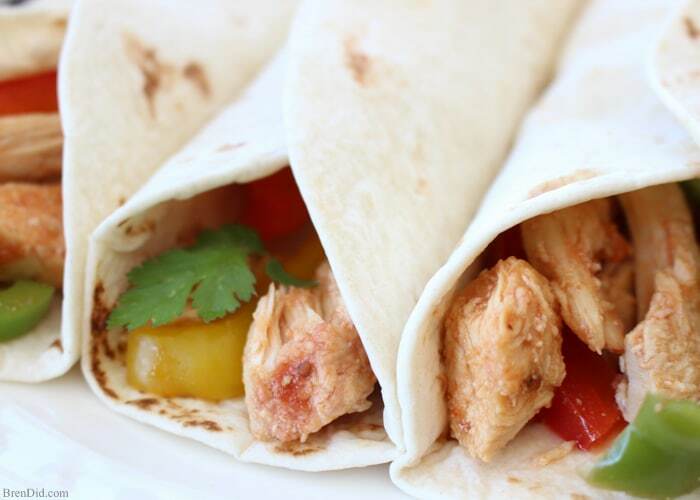 These are easiest chicken fajitas you will ever make and they taste AMAZING! 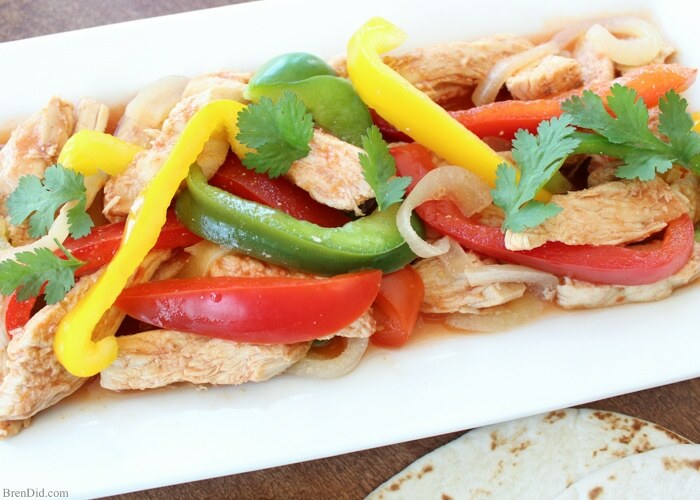 Great Chicken Fajita taste -onions, red, yellow and green peppers, perfectly seasoned chicken breast – made in one pan with no precooking. 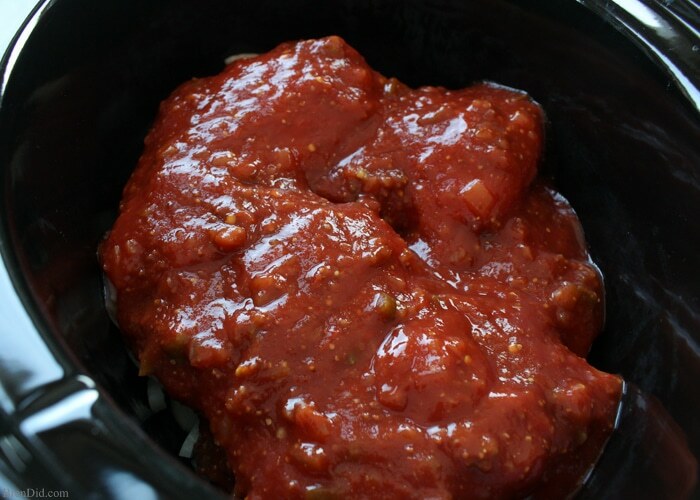 Simple yummy crock pot recipe! 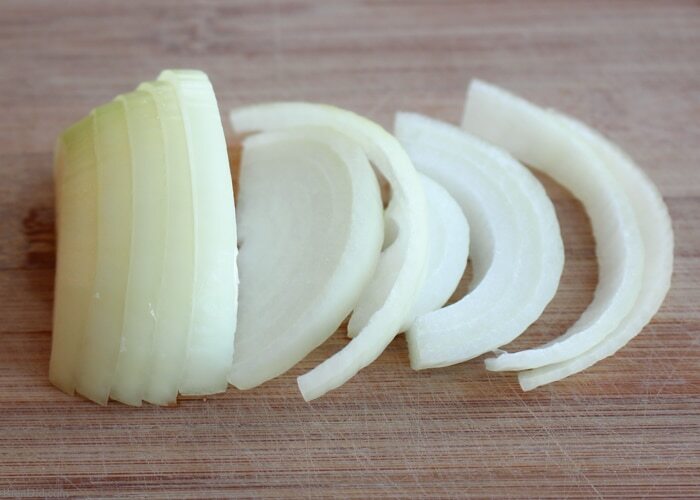 Place onions in the bottom of the slow cooker. Layer chicken breasts over onions. Mix together salsa, ketchup, and mustard. Pour evenly over chicken. 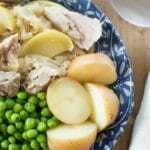 Remove chicken from slow cooker and slice. 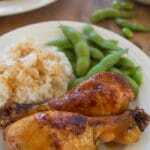 Return chicken to slow cooker and stir gently. Place sliced peppers on top of chicken mixture in slow cooker and cook on high for 20-40 minutes. 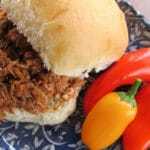 (20 minutes for tender crisp peppers, 40 minutes for softer peppers). Serve chicken fajitas with fajitas, over rice, or in a salad. 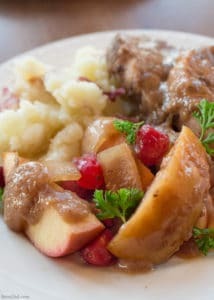 Like my easy crock pot recipes? Sign up for my newsletter below and never miss a thing. Fajitas are delicious but take so much time. I love that I can “throw and go!” Thanks for the recipe!